In 1986, a dozen artists stood on Baker’s Beach in San Francisco on the summer solstice and burnt an effigy that was representative of the art they had spent their careers working on. Fast forward 32 years, and the same ritual is observed over an 8-day event, known as Burning Man, that takes place in the Black Rock Desert of Nevada. Instead of a dozen artists burning effigies of their work, Burning Man is now an experimental city and participatory art exhibit inhabited by approximately 70,000 people over Labor Day weekend—making it the sixth largest city in Nevada. The sheer scale of the temporary city is only sustainable under the idea of total participation. Everyone who attends the event is either a volunteer staff, an artist who is making an individual contribution, or a member of a theme camp. 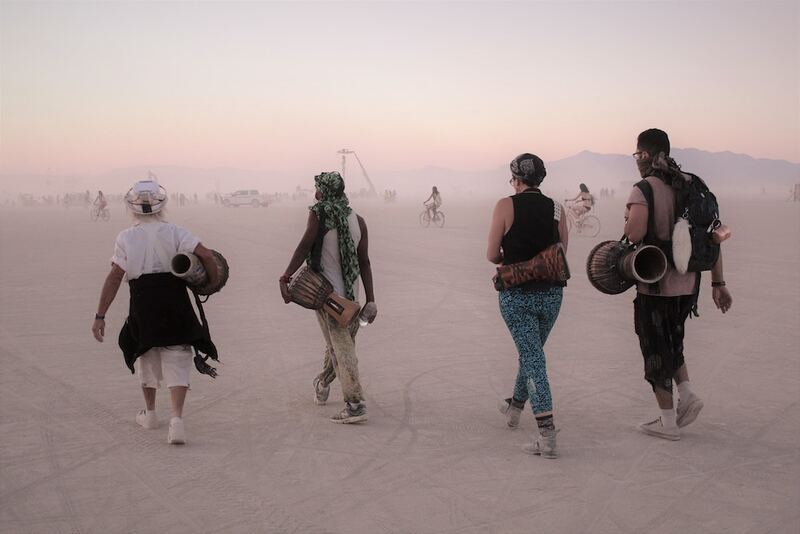 These “theme camps” are contributions to the collective city and the participants come together to provide something to the shared collective of Burning Man. Beyond that, participants of the event are expected to have total self-reliance. When it comes to providing food, water, and shelter for oneself for eight days, what are the most effective means for doing so? 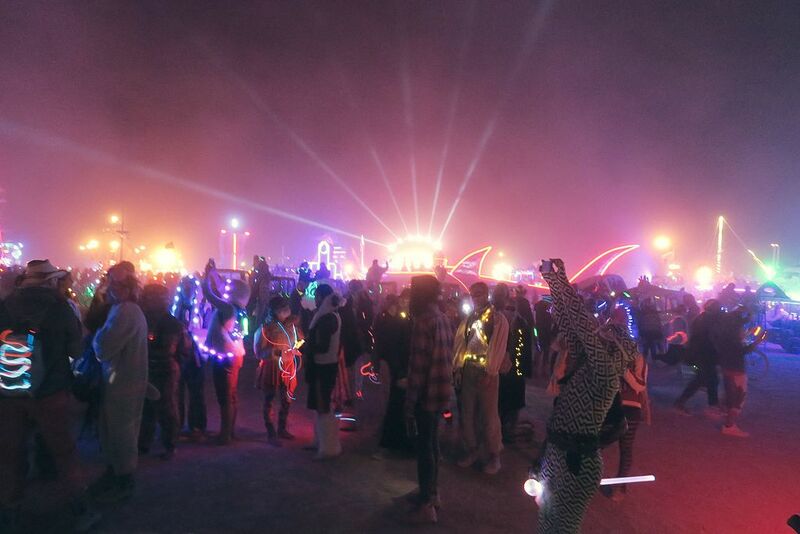 Chances are, you know someone who has been—or is going—to Burning Man. Those who come back from the event are sunburnt and elated and ready to share with you stories of what they experienced. While the city used to be primarily composed of “artists,” the interpretation of the word “artist” has grown lax in the recent decade and is now open to anyone who is willing to participate in the event. In recent years, there was some critique over celebrities and the tech elite who dropped in on Burning Man for the publicity and networking opportunities, detracting from the idea of “total participation” and potentially bringing the wrong kind of publicity to the event. How does one survive at Burning Man? 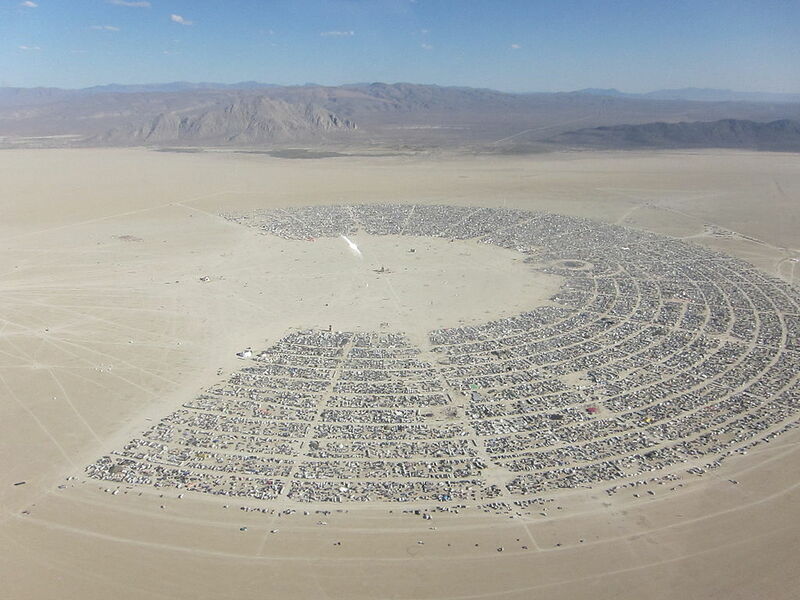 Burning Man happens in the most stereotypical desert imaginable—a large, flat, dusty area open to sun, wind, and sand. However, there is really no wrong way to go about “surviving” the event so long as you reside within the 10 Principles of Burning Man. These principles include Leave No Trace and radical self-reliance. While many participants sleep in some interpretation of a tent, some Burners have taken to bringing along an RV to live in for the week. Mandy went on to say that her second year featured extreme temperatures and intense dust storms that no tent could alleviate. The negative experience pushed her to rent an RV for her third year. 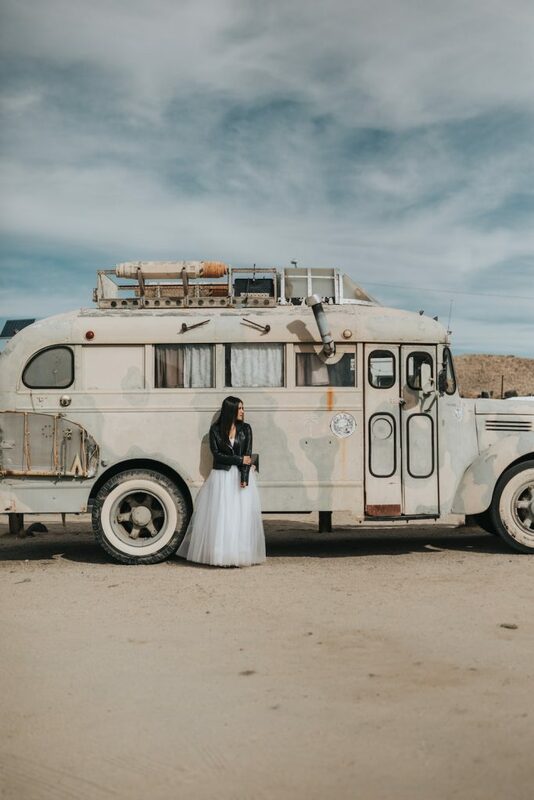 Heat and dust are just two factors to consider when bringing an RV to Burning Man; it’s also worth considering the benefits of privacy, generated power, and food refrigeration. Additionally, a brief respite of an air-conditioned nap in the midday heat of the desert can go a long way toward preserving a positive Burning Man experience. Just know this: it is impossible to entirely disguise the truth of an RV that has spent a week at Burning Man. Solely from the elements of dust and sand, many companies and individuals refuse to rent RVs to those headed to Burning Man. Those who do typically require an extensive—upwards of $1,500—deposit for cleaning and damages. 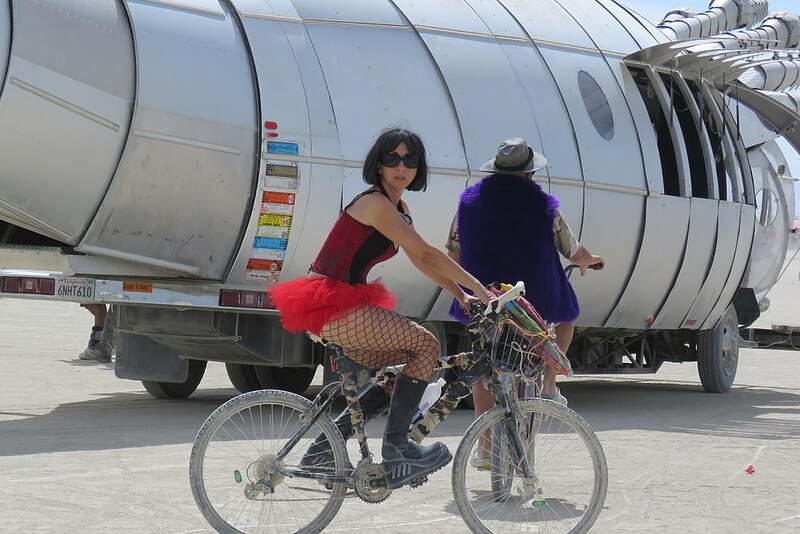 Again, there is no way to hide the fact that an RV has been to Burning Man. Perhaps the most impressive part of Mandy’s story? She got her full deposit back.